Am I the only fop that hasn’t seen this about a once-famous girl idol gone swiftly into a realm where no Episcopalian has ever gone before? Meet Barbie – only she found Jesus… or perhaps raided Madonna’s reject collection. Check out the threads. 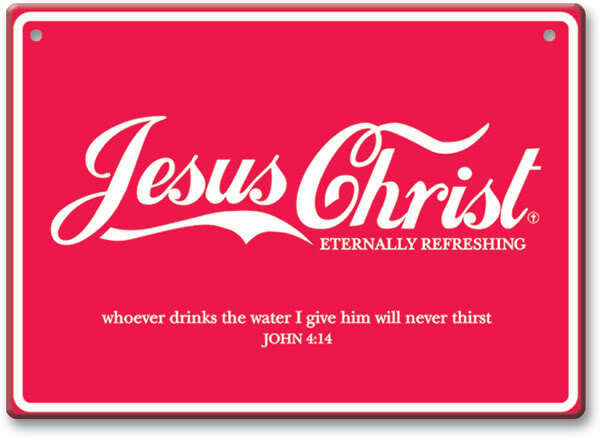 I doubt this is an evangelism tool from Mattel, so why in heaven do this? Do the dolts running this age-old brand really believe they will up their market share with this – Episco-Barbie?! Turns out our evangelical babe isn’t from Mattel at all. It’s a gift from Rev. Julie Blake Fisher, an Episcopal priest in Kent, Ohio to her friend, fellow female priest, Rev. Dena Cleaver-Bartholomew, rector of Christ (Episcopal) Church, in Manlius, N.Y., near Syracuse. Fisher had made Episcopal Priest Barbie and a few vestments two years ago for the children in her parish to dress. And now, homely girls everywhere are asking Santa Jesus for this doll. (Incense not included). You know, this is actually a smart move because as all divas know, black works with everything. Pentecostal Barbie – She can have the same raggedy hair and little girls will save money as they make her clothes too. Baptist Barbie – As the women serve in various outreaches, now they know they can look smart and work those pumps. Jehovah’s Witness Barbie – Good thing it’s only a doll because – like the real-life version – this one won’t talk in church either. 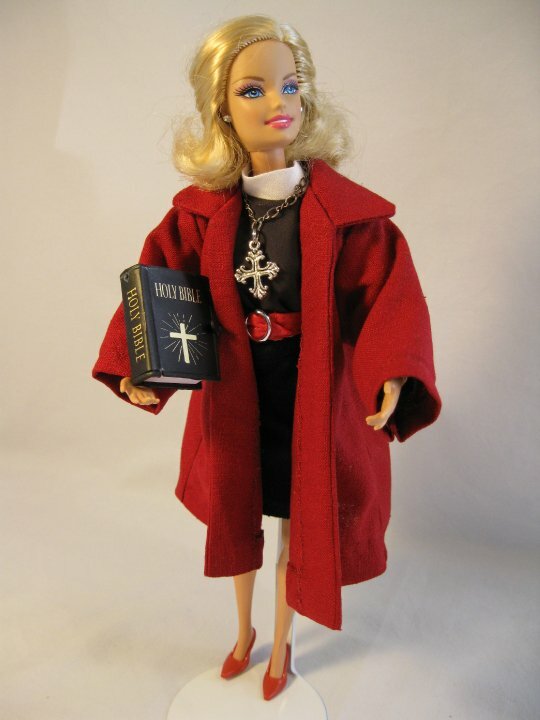 Megachurch Barbie – Accessorize for the Lawd! And, when anorexia hits, rock the clerics and hide those stretch marks, girls. Mormon Barbie – She will work the Vicar look head-to-toe, only hers will be in 100% polyester. (Pair of Missionary Kens definitely not included). Ah yes. 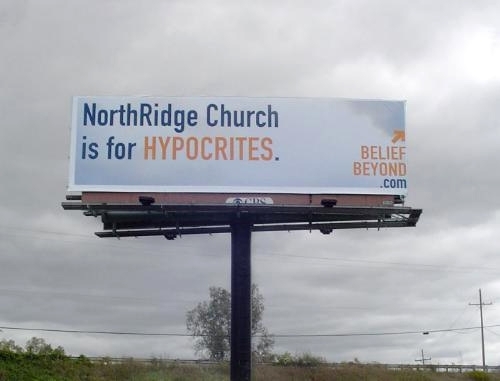 It’s back – Christian marketing. A while back, Wall Watchers were bemused by a visual onslaught of lovely t-shirts and branding that’s the equivalent of a six-year-old with crayons watching commercials. Today, we find a story that makes the church look a skosh better and a tad more current. Celebrity endorsements, how novel. But who? Would you believe the Newsboys on a pair of Chuck Taylor Converse All-stars?! I know! Hey now, you're an all-star... wait, that's not their song!? The band who almost began “borrowing” something for the secular [Originally, their name was “The News” in the 80s, but Huey Lewis may have had something to say] now dawns the most sacred and regaled kicks on the market. Nice plug for the tour, Wes. Only one small issue, boys. Before you can “Shine” with these shoes, you may want to sell them on your Web site’s store. Just sayin’.